All Aboard. Back-to-School Marketing Refresher from 1929 Blue Comet Train. – StratGo Marketing. Plug-in marketing department services. All Aboard. Back-to-School Marketing Refresher from 1929 Blue Comet Train. It’s back-to-school season. Even though we’re not heading off to class, those of us done with our formal education understand that learning and subject-matter refreshers never stop. ◉ A marketing communications refresher about the importance of painting an image and creating anticipated, sought-after experiences in the mind of the target customer. One of the museum’s featured exhibits was titled “Full Steam Ahead! Model Trains and Railroads.” The highlight was a 288-square foot model train universe containing 35 diesel and steam locomotives and close to 50 interactive working accessories. That was cool, and my nephews loved it. So was the rest of the exhibit, at least for me, which showcased other train memorabilia, including advertising and promotional brochures. 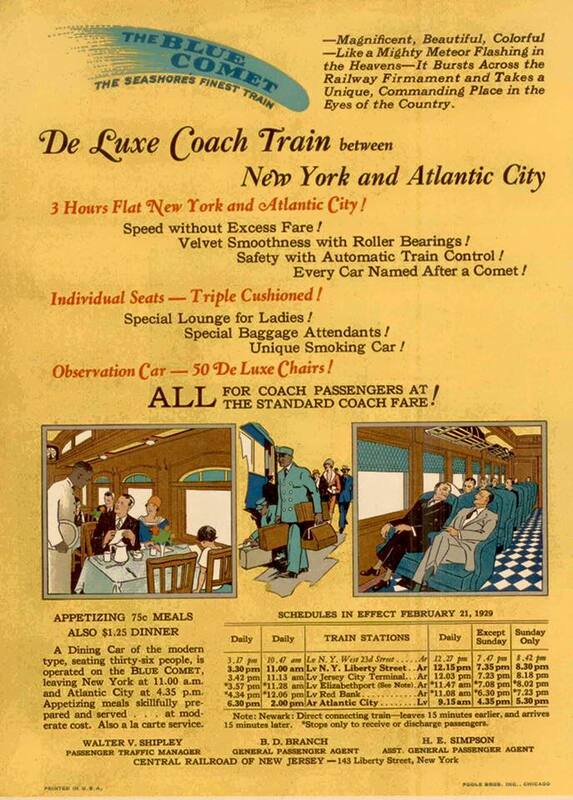 The 1929 marketing examples were for the Blue Comet, self-dubbed as “The Seashore’s Finest Train,” which transported passengers between Manhattan and New Jersey’s Atlantic City seaside resort. Photo taken at Morris Museum. Obviously, as you can see, the overall presentation is dated. But, look further. Thinking back in time, I was struck by the evocative power of these communications. It’s an example of the ability to create an image in the reader’s mind of what the experience of riding the Blue Comet train would be like. And shaping that image to persuade and generate ticket sales. So, what’s the relevance today for B2B marketing? 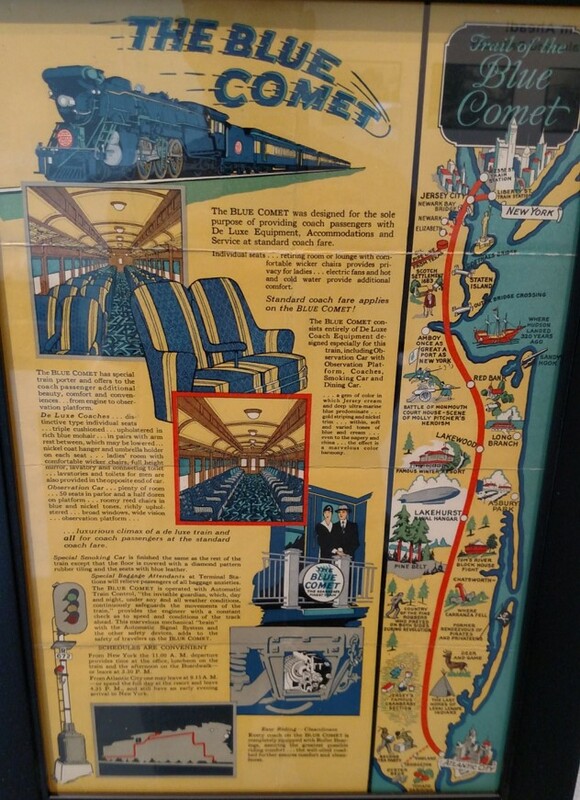 The Blue Comet historical ads/brochures are a fun reminder to work harder in developing customer communications that stand out and pack a punch. ► Start with a strong marketing brief built on good customer understanding that challenges the creative team. That will help avoid the pitfall of “fact sheet” advertising, which happens when trade advertising creative is just bullet-point regurgitation without any special customer idea being conveyed. ► Think in terms of what your customer wants to know, how he/she would like to learn, and how your product/service can make a winning difference for that customer.